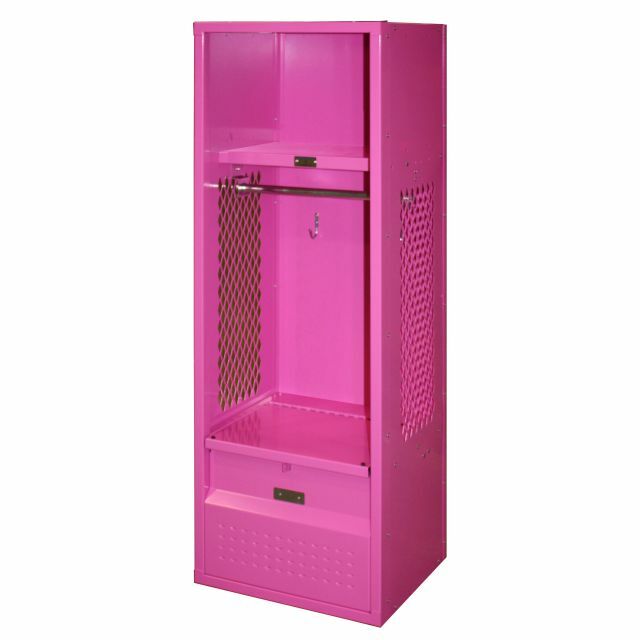 These Girls Pink Sport Locker are available on www.buyusedlockers.com where they have a huge selection to choose from if we need additional supplies. 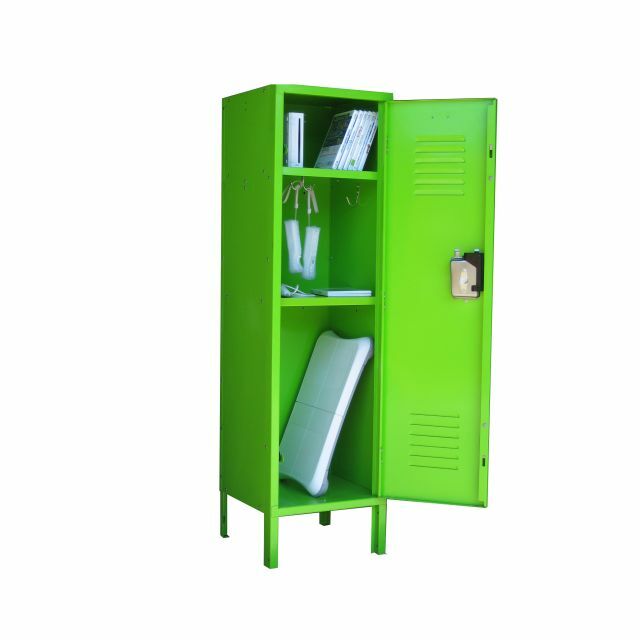 Dimensions: 18" x 15" x 54"
Our pink kid's sports locker is a mini made especially for your kids’ room. You’ll love how these add a fun sports-themed look to your girls’ room, game room, or sports room and she will love using them to store and organize her favorite stuff. 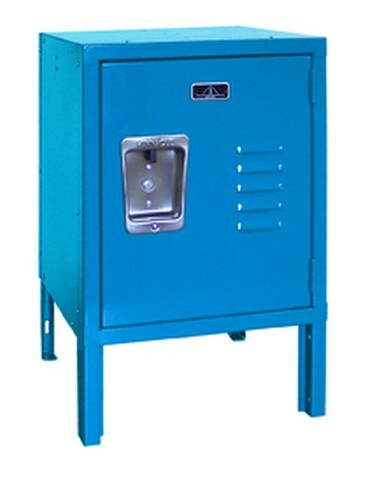 Equipment can be hung on two durable hooks and the full-width coat rod, trophies can be displayed on the shelf, and shoes and extra gear can be stored in the lockable footlocker that also functions as a bench seat. 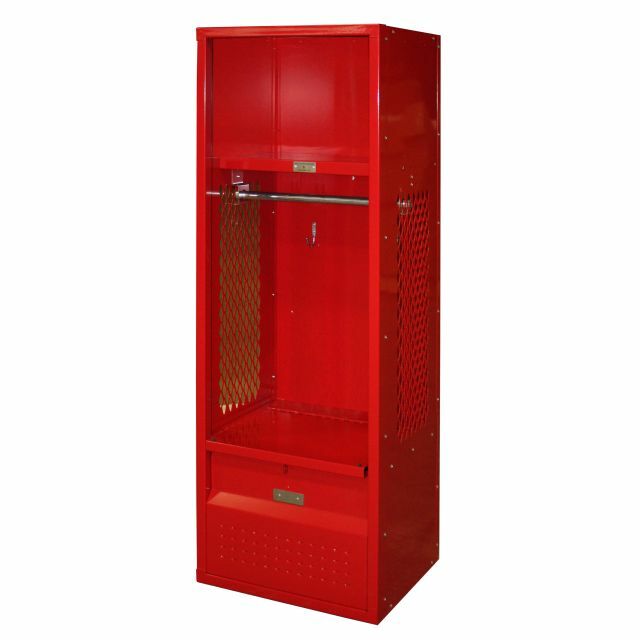 While smaller and compact, these are manufactured with the same high quality and packed with the same features you’ll find in our full-size stadium lockers. 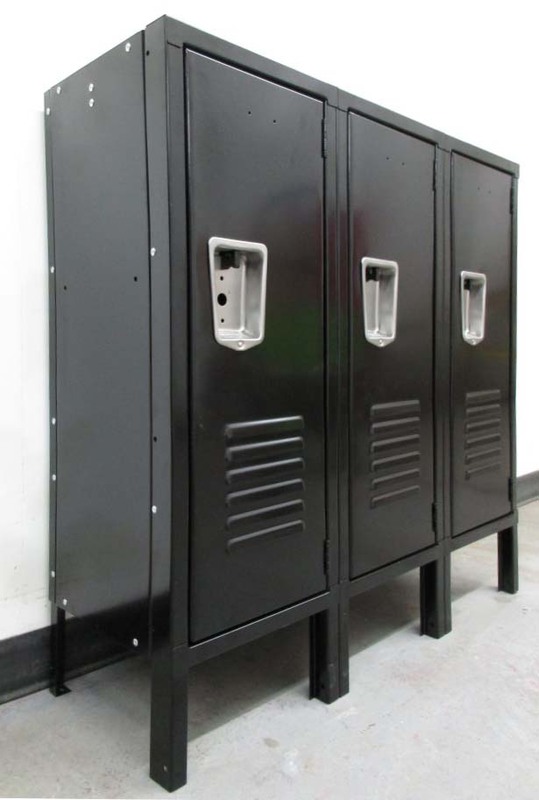 We know ventilation is important, so our kid's sports lockers have mesh sides to keep equipment smelling great but are built with 16-gauge steel to withstand the rough-housing and horsing around typical of young athletic kids.